This entry was posted in A Little Bit of the Everyday and tagged Buddha, Peace, photography, UN International Day of Peace. Bookmark the permalink. The pleasure was all mine! You have some wonderful photos. I’ve seen a lot of beautiful Buddhas in Asia, but this one is phenomenal! Thanks! Wow, that tells me something; I’ve never been to Asia, so don’t have a frame of reference other than to think it’s beautiful. Makes me all the more curious as to why it’s stuck by a parking lot. Yeah, that’s kind of weird!! Thank you for the pingback. Peace is possible! Thank you so much for the pingback. I will be over to visit your blog, it looks wonderful. Thank you for the pingback SC. That really struck me as odd, that it should be relegated to a back parking lot area. Maybe it’s a Feng Shui kind of thing. Nah…it’s just odd I think…people doing it without thinking. Big hotel chain….I guess what can you expect. 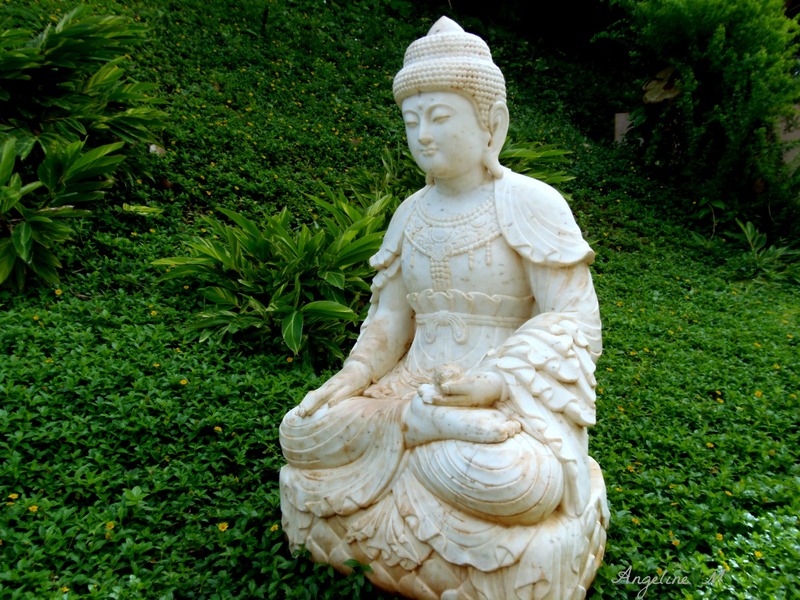 What can be more serene than the Buddha? This one is particularly lovely! Thanks Madhu. The statue was tucked away at the back of a hotel by a parking lot! I’m glad I found it. Thanks! A wonderful meditation place. Gracias, Ilargia. Me da gusto en pensar de paz por todo el mundo. Esto fue una tema buenisima por estos tiempos.